Find out about what day and what times our regular activities are taking place here at the centre. Everything from knitting to cooking, we’ve got it covered. 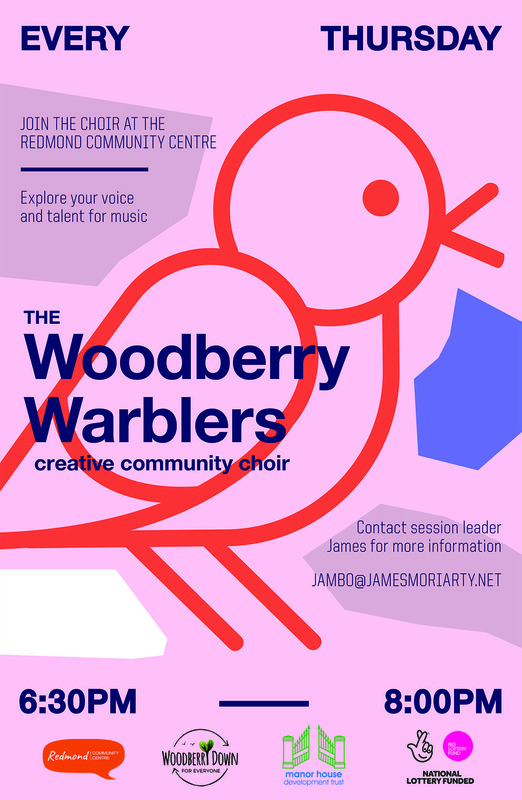 The last in a series of workshops to find out what’s going on in the Woodberry Down area through workshops, presentations and information stalls. This week, Hackney Works will be presenting how they can help you get back into work or training. 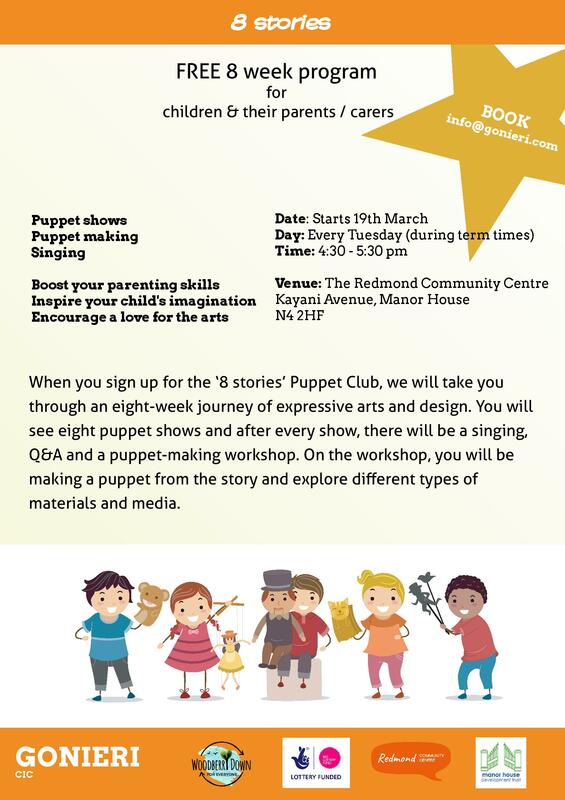 Puppet Club will be making a welcome return this Tuesday for 8 weeks starting Tuesday 19th March. Booking is essential, please email info@gonieri.com to book you and your little one’s places. 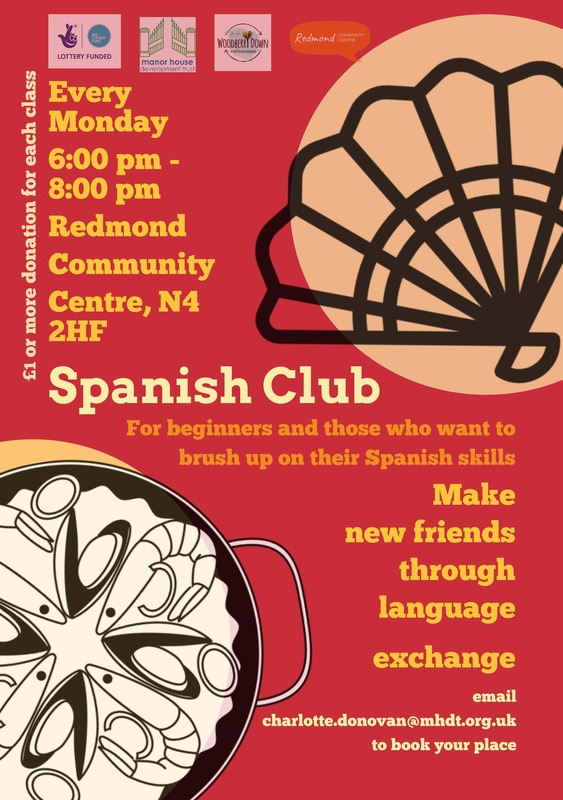 If you want to start learning Spanish or just want to brush up on your Spanish lingo, then come to the centre every Monday from 6 pm till 8 pm. A delicious two-course meal for only £4.20. 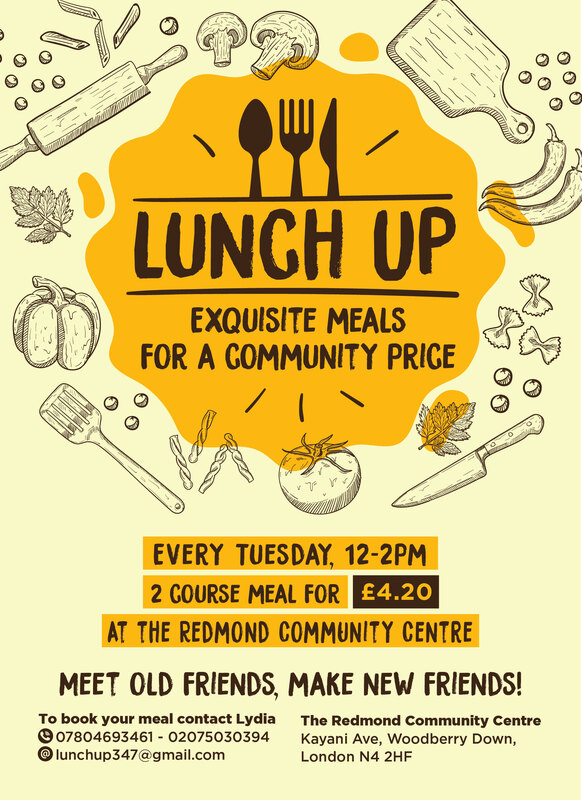 Eat, chat and make new friends. What could be better?! Our venue is situated just 5 minutes walk from Manor House Tube Station. With stunning views of the New River, great facilities and a location near to Central London, the Redmond Centre is the perfect choice for all your meetings, events & celebrations! Find out more. goings on at the centre.